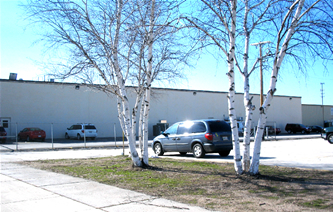 Crafted Plastics Inc. has served the plastics extrusion needs of manufacturers and distributors worldwide since 1982. Whether it's a basic extruded profile or a more complex profile, our commitment is to produce custom extrusions that meet your specifications. Crafted Plastics Inc. has built its reputation on producing extruded plastic profiles and plastic tubing that meet the specifications and high quality standards of our customers. 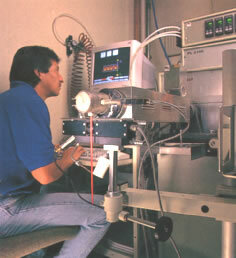 We offer single durometer extrusion, co-extrusion, dual-durometer and tri-extrusion production capabilities. Crafted Plastics Inc. has in-House engineering to help with material selection and tool design. Most of our extrusion dies and downstream tooling are made by our tooling team. We use the most up-to-date tooling and extrusion production methods including downstream sizing. Complete secondary operations compliment our extrusion operation. A partial list of secondary operations offered include: hot-stamping, forming, notching, punching, piercing, drilling, tight tolerance sawing and other assembly capabilities. Crafted Plastics Inc. has invested in modern equipment and technology to produce our extruded and fabricated parts, including polycarbonate tubes, PVC tubing and Polyurethane tubing. There is one word that defines Crafted Plastics Inc. team of experienced employees: "CRAFTSMANSHIP"… We have years of experience in producing quality extruded plastic tubing and extruded profiles and are dedicated to providing customers with manufacturing precision and product integrity in every plastic extrusion we produce. 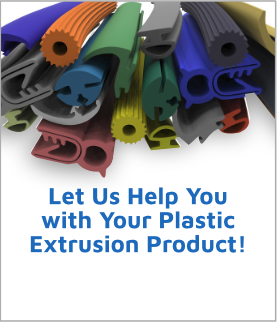 WE LOOK FORWARD TO SERVING YOU WITH YOUR EXTRUSION NEEDS.